Kumbh 2019, the world's largest congregation of faith currently underway in Prayagraj (Allahabad), continues to attract not only the pilgrims for the proverbial holy dip at the Sangam, the confluence of Ganga, Yamuna any mythical Saraswati rivers, but politicians of all hues as well. Yesterday, Samajwadi Party (SP) president Akhilesh Yadav had visited Prayagraj to offer his obeisance at the Sangam, apart from meeting prominent saints and seers for taking their blessings. 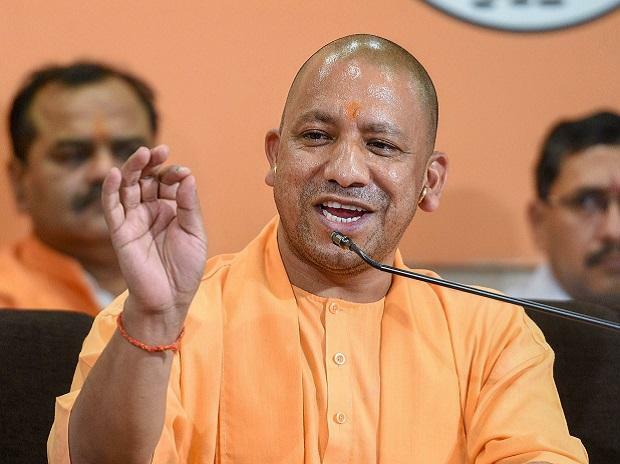 Now, the Uttar Pradesh cabinet headed by chief minister Yogi Adityanath is set to meet at Prayagraj in a historic first tomorrow for giving nod to important decisions. The cabinet only meets in Lucknow and it is probably for the first time that such meeting is being held outside the capital city. In 1962, the state cabinet meeting had taken place at Nainital (now in Uttarakhand state) during the regime of then Congress CM late Govind Ballabh Pant. According to sources, not only the mandatory UP cabinet ministers, but the junior minister or the ministers of state have also been invited for the meet, since there is a plan for taking the holy dip at the Sangam after the meeting gets over in the afternoon. Some important decisions, including the provision of pension to all destitute people in Uttar Pradesh, including nomadic saints, is likely to be taken at the cabinet meet tomorrow, which would also signify the relevance that the ruling Bharatiya Janata Party (BJP) accords to the symbols of Hindutva, especially in run up to the Lok Sabha polls. The budget for this edition of the Kumbh has increased almost three fold from Rs 1,200 crore in 2012 during the previous Yadav regime to more than Rs 4,500 crore, apart from various other ongoing projects funded under different heads not directly related to the Kumbh. Meanwhile, Congress president Rahul Gandhi and his younger sister Priyanka Gandhi, who was last week anointed the AICC general secretary in charge of Eastern UP in run up to the crucial 2019 Lok Sabha poll, are also expected to arrive at the Prayagraj on February 4 for taking the holy dip and taking the blessings of the saints. Over the past few months, the two main national parties viz. BJP and Congress have explicitly and implicitly engaged in competitive Hindutva for wooing the majority community during the election time. In fact, Congress has already taste success in the key Hindi heartland states of Rajasthan, Madhya Pradesh and Chhattisgarh by resorting to soft Hindutva, which witnessed Rahul Gandhi temple hopping, sporting the ostentatious Hindu religious symbols and even revealing his Gotra (Hindu lineage). The Adityanath government has branded Kumbh 2019 as a major tourism event, which is expected to attract 150 million visitors during its period starting from January 15 to March 4.